Cinda Echard of Glenville State College, representing the Student Innovators of the Year; Michele O’Connor, WVJIT, accepting the Investor Recognition Award; Dr. Marjorie Darrah, eTouchSciences, 2013 StartUp Innovation of the Year; Ginny Painter, TechConnect Board Member, representing Dr. Stephanie Skolik, winner of the Outstanding Woman in Technology Award; and, Dr. Xingbo Liu, 2013 Innovator of the Year. Some of West Virginia’s top innovators took center stage at the TechConnectWV Spirit of Innovation Awards Banquet October 22 in Morgantown. Five awards were presented, honoring advances in energy technology, educational software, vote verification technology, ophthalmic patents and a model funding program. “The 33 nominations received for this inaugural awards program demonstrate that in West Virginia, the innovation economy is not just a concept—it’s a reality. 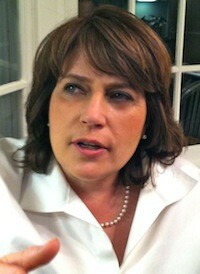 We were thrilled to honor all of them.” she added. Russ Lorince, chairman of TechConnect’s board of directors, served as master of ceremonies. Dr. Xingbo Liu was named the 2013 Innovator of the Year for his work in developing solid oxide fuel cell interconnect, Integrated Gasification Fuel Cell system, and superalloys for steam turbine blades and advanced battery technologies. 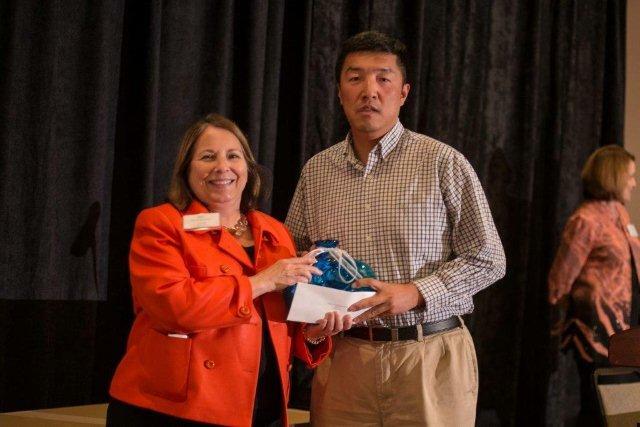 Liu is an associate professor in the West Virginia University Department of Mechanical and Aerospace Engineering. 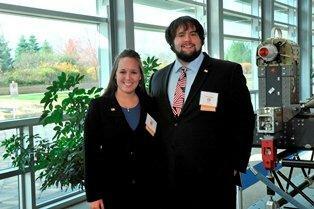 Racheal Fetty and Caleb Greathouse of Glenville State College were named the 2013 Student Innovators of the Year. They created the EZ Reader, an electronic voting machine ballot reader used for reading the five percent of ballots mandated by law to be read by hand. EZ Reader is manufactured in West Virginia and more than 100 units have been sold to date. 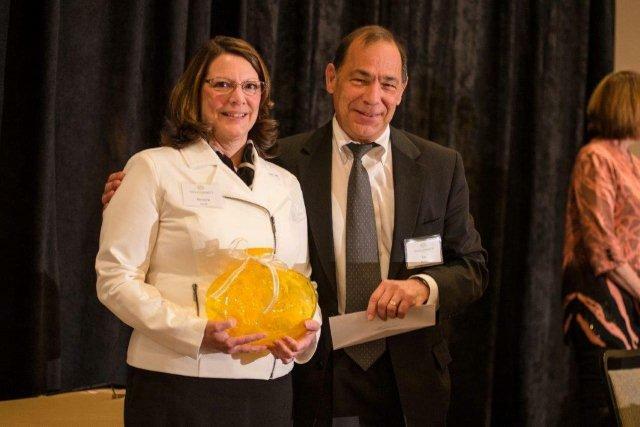 The StartUp Innovation of the Year award was presented to eTouchSciences of Grafton, led by Dr. Marjorie Darrah. She pioneered an innovative learning system that uses haptics to add touch to science and math education. The programs are geared toward middle school, and can be used by both students with visual impairments and sighted students. 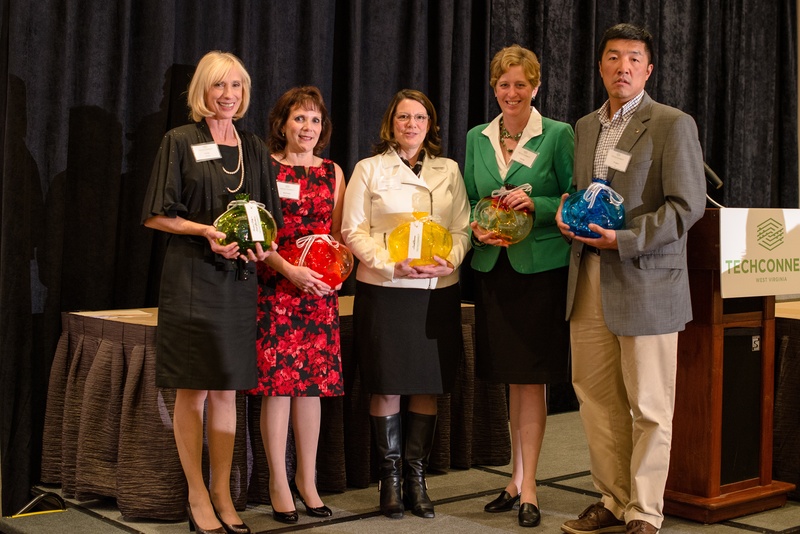 Dr. Stephanie Skolik was named the 2013 Outstanding Woman in Technology. Skolik, a practicing ophthalmologist in Huntington, is the founder and director of the American Retina Research Foundation. She is also the CEO of Eyedea Inc., holds multiple patents for ophthalmic medical devices and is widely recognized for her research in retinopathy. 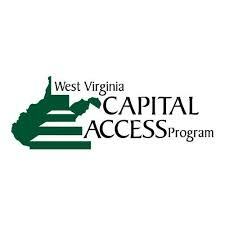 The West Virginia Capital Access Program (WVCAP), spearheaded by the West Virginia Jobs Investment Trust, was awarded the 2013 Investor Recognition Award. In the last 22 months, the WVCAP program created more than 366 new jobs, retained over 480 jobs and spurred $62 million in private investment.